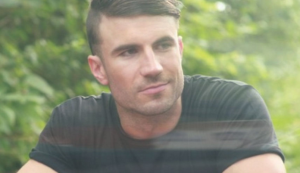 It sounds like another hit for Sam Hunt. Sam Hunt has been sending out a few messages in the country world that he’s been struggling with writing for his sophomore album. That’s understandable. The saying is that you have your entire life to write your first album and no time for the second. I think he’ll get it done and it will be great. His first album, Montevallo, has been huge. It’s already had five singles with four being huge hits and it looks like they’re releasing a sixth single. And it’s another good one. I like this one. It’s closest to Sam’s big hit, Take Your Time, compared to all his previous singles. He’s been able to show that he can really cover a wide variety of songs – fast and slow. And this one is definitely back down to the slow side and it works really well. It seems to about a guy that’s been through a breakup. He’s feeling a little like maybe things shouldn’t have ended. It sounds like the girl ended things and the guy is looking at it like she’s making a mistake. He’s not going crazy or anything, but he’s feeling that she’ll want to come back. This song seems like it could have crossover appeal once again for Sam. He’s been able to bend the rules and boundaries and I think country fans are lucky to have him. And I think this will be another big hit from this album. I’m definitely fine seeing six singles from one album. If the hits are there why not release them?